Recently I’ve received two sets of Knitter’s Pride needles from Stefanie Goodwin-Ritter from Stitchcrafmarketing.com for review. Most of the time I work with circular needles. 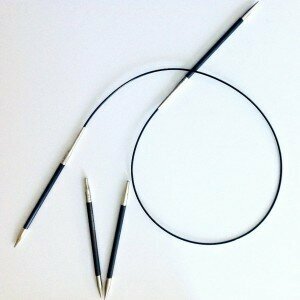 I like them to be metal and smooth so I can knit quickly and the yarn does not catch between the cord and the needle. For that reason I never really looked at Knitter’s Pride since they are not metal. 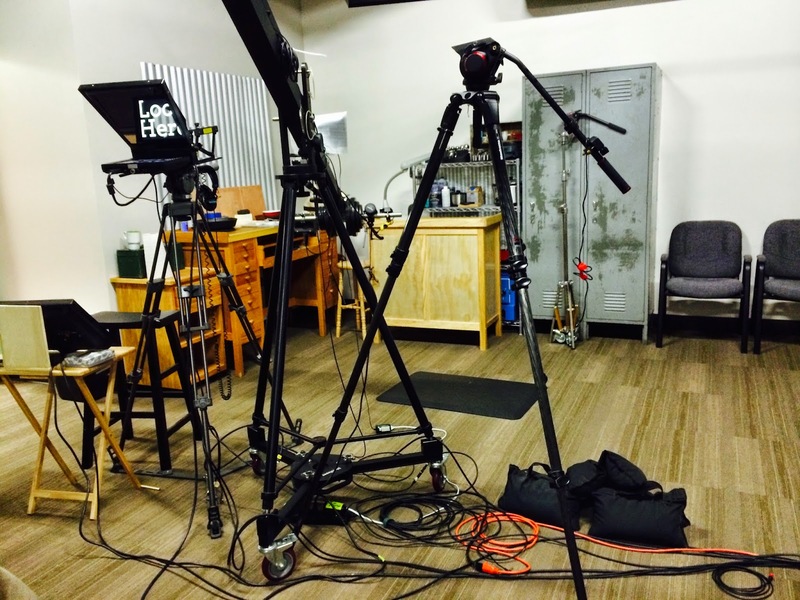 When I was preparing for taping of a Slip Stitch DVD with Interweave Press, I was wondering which needles to bring with me on the set. I was so grateful to receive these two sets of Knitter’s Pride interchangeable needles! I tried them on my samples for the class and fell in love with them immediately. They are not metal but they are very smooth with sharp enough tips and very smooth transitions from the cord to the needles. 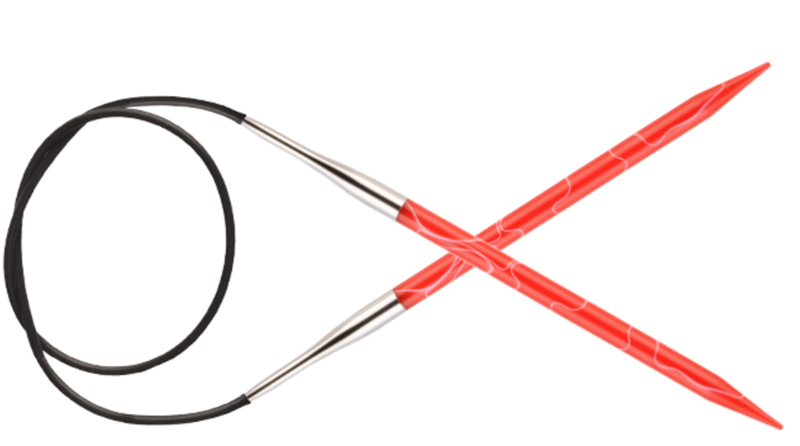 The cord is very pliable, doesn’t coil at all, and is thicker than many of the cords of circular needles on the market. This helps to keep stitches on gauge while they are sitting on the cord. 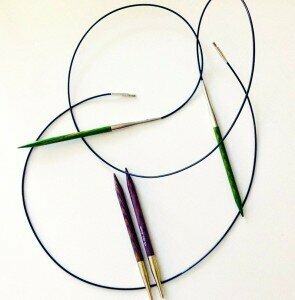 This set contains 9 knitting needle tips, US size 4, 5, 6, 7, 8, 9, 10, 10 1/2 and 11; 4 cords: 1 no. 24″, 2 now. 32″, 1 no. 40″ and accessories: 1 set of size markers, 8 end caps, 4 cord keys, 1 cord case. This is your basic range of needles that you need to work on practically anything. There are other sets available on the Knitter’s Pride website or your local yarn shop. I certainly recommend these needles for many reasons. In addition to the reasons described above, I think it is very clever that they are color coordinated. It is easy to remember which size of needle you are using, the cords can be used for all sizes of needles in the set, so they are truly interchangeable. 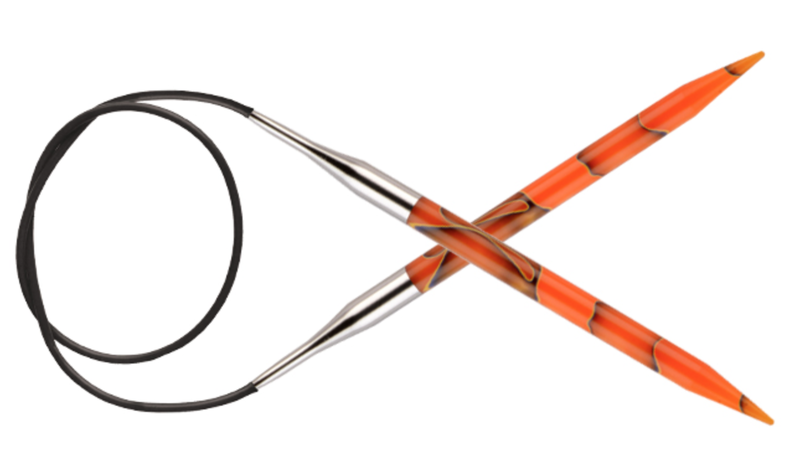 The cord is screwed into the needle with ease, creating a smooth join. I can see that I will be using these needles for many projects. 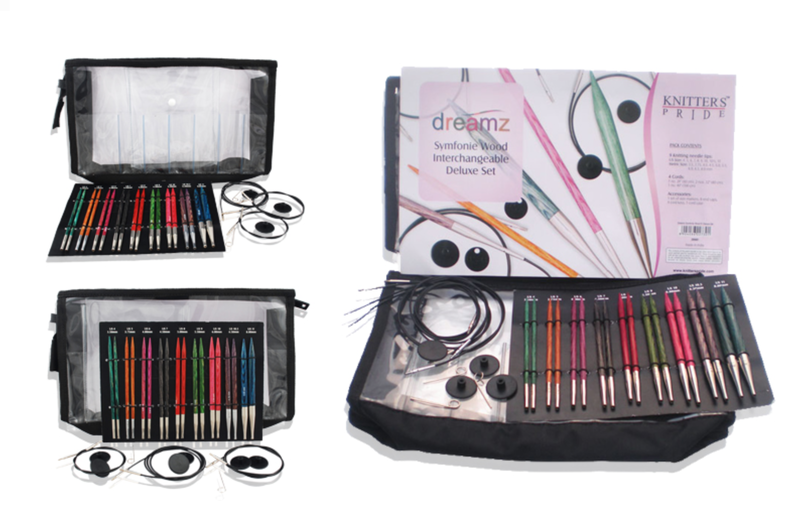 This set contains 4 knitting needles tips: US size 7, 8, 9 and 10 and 2 cords: 24″ and 32,” accessories: 1 set of size markers, 4 end caps, 2 cord keys. Everything that I said about the dreamz set also applies here to the Karbonz needles: the tips are pointy and long, the cords are pliable, and the connection is smooth. The body of the needle, due to the material it is made of, is not as slick. 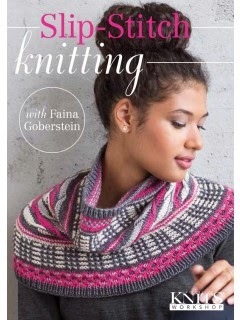 This is very helpful for lace knitting when you don’t want your stitches to fall off of the needle. There is more friction on the body of the needle to hold your stitches safely. These two sets represent a partial collection of sets that Knitter’s Pride has available. I would encourage you to go to their website and see the many options. They have some fun colors as well as square needles offered in Symfonie cubics. Check out the MARBLZ. They have stylish and interesting coloring. 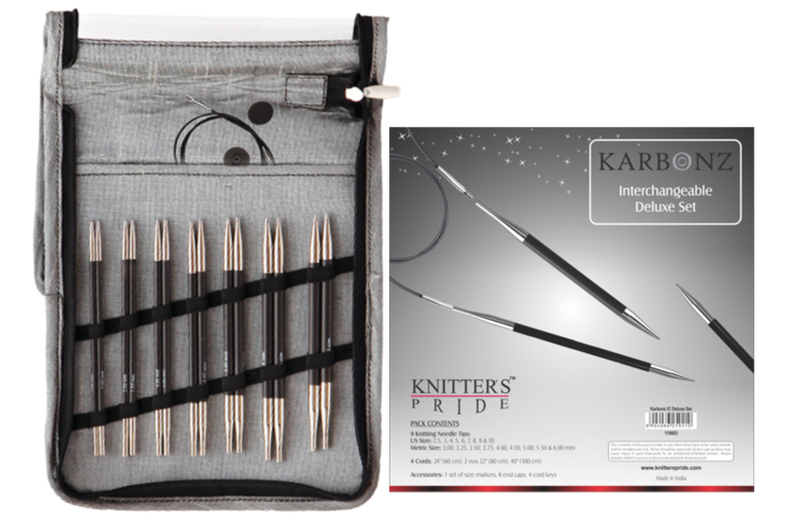 If you want to treat yourself to a set of needles that work well and will be admired by others, you could find them at Knitter’s Pride.